Everyone likes to take pictures. A few people think it is more fun to take pictures under water. It is why they seek cameras which are waterproof. When you search the market, you will find that there are dozens of waterproof cameras that you can buy. There is a huge selection of cameras available on Amazon. You should know that not all these cameras are cheap. We will now review the top ten cameras which cost less than $200. 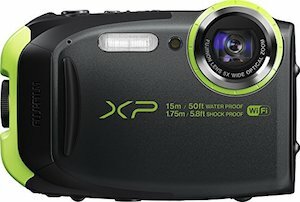 How To Choose The Best Waterproof Cameras? Whenever you are to buy the waterproof cameras, you should take into consideration the features of the camera. You should read online reviews of these cameras. These reviews cover almost every aspect of the camera and give you an in-depth analysis. To make it easy for you, we will review the top ten cameras that you can get under $200. FujiFilm is one of the best companies one of the oldest companies to manufacture digital electronics. It has a good name in the photography industry. The company manufactures some of the best and the cheapest digital cameras which are also waterproof. One of these models is the FinePix XP80. It is an excellent choice for families. It has all the features which you want in a digital camera for underwater recording. It also looks beautiful and is easy to operate. You will not find it difficult to use when you are under water. The buttons are easy to reach, and the design is comfortable. It is a good camera for all conditions. It has sand proof, and shock proof features too. 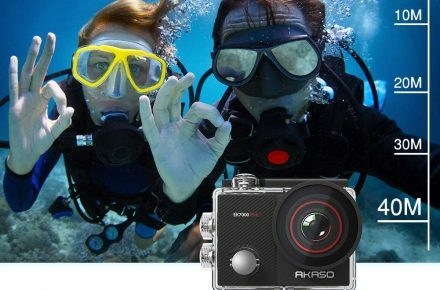 It has various digital filters and an excellent CMOS sensor to capture high-quality HD videos and pictures underwater. It is the best underwater camera for scuba diving. The best part is that it is also a cheap waterproof camera. It is available in various colors. You will only have to pay $174 on Amazon to buy this camera. Easy, Compact, waterproof and ridge body for firm grip. It is easy to use it with one hand especially if you are right-handed. The shutter button is designed for firm grip inside water. 2.7” LCD displaying all essential features. Optimized Button menu, having 11 different filters to adjust image/video. 16.2 MP camera, capable of shooting High Definition video. Shockproof, can withstand a drop of 5.8 feet without breaking. Sand-proof and waterproof up to 50 meters. Image size is 7Mb for high quality. 1080p HD video recording at 60fps. Smaller LCD size then other models. 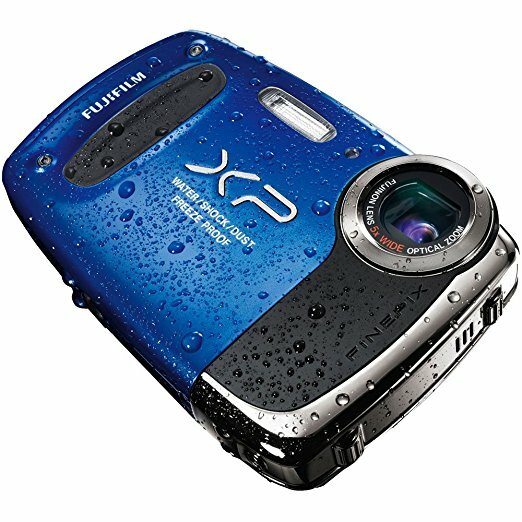 The FujiFilm FinePix XP80 is an excellent choice for underwater recording. It is cheap and has all the features you need for recording underwater. It is shock proof, freeze proof and also dustproof. It is easy to handle and also has a Wi-Fi setting which enables you to take pictures remotely. We highly recommend buying this camera. 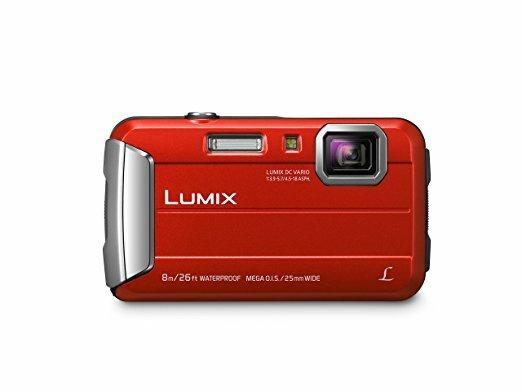 Another cheap and a good quality waterproof camera that you can buy is the Panasonic DMC-TS30R LUMIX Active Lifestyle Tough Camera. Panasonic is also one of the best companies that manufacture some of the best cameras around the world. This model is no exception. It is a good choice for those who want to take pictures underwater. The camera is compact, lightweight, easy to use, and also cheap. The design is also good, and you can take pictures both in and out of the water. It has various zooming options which make it a good choice. It can record HD video. It has excellent focusing which quickly allows you to capture videos and images. The price of this camera on Amazon is $138. Implicitly designed for “ease of usage”. It also has a 220 MB built-in memory. Allowing you to take almost 34 Pictures. Built in torch light for taking better underwater pictures. Optimized zoom settings for recording videos of close and distant objects. 16.1 MP capturing HD videos at 30fps. Shockproof, it can withstand a drop of 54.9 feet. It is also waterproof up to 26 feet. It is also freezeproof and can withstand 14 degrees Fahrenheit temperature. The quality of images underwater is not that good as compared to outside water. The LCD screen is not too bright to work in sunlight. It can only go 8 meters underwater. The FujiFilm XP50 is a 14MP digital camera with a lot of features. It has a top-rated CMOS sensor and a TFT color screen. The weight of this model is 175 gram which is easy to handle and carry around and use underwater. The buttons are easy to reach. It has HD recording features and also better connectivity. It has a USB and an HDMI port. It is an affordable and a rugged camera. You will only have to pay $84 in blue color on Amazon. Awesome result till 16.5 feet underwater. shockproof and can withstand a fall from 5 feet. It is freezeproof and can withstand a temperature of 14 degrees Fahrenheit. It is also dustproof, so you will not have to worry about using it in the sand. It has 17 different scene settings. Several exposure modes which allow you to capture the best HD videos and images. 14 MP CAM with a flash range of 3.1 meters. 5x optical zoom to capture items at a distant without reducing the image quality. Internal storage space of 95 MB. You can save at least 25 images using this memory. Built in HDMI and a USB slot. It has a fairly large battery which will last for 220 images. Continuous shooting is only 3 fps. APEMAN action camera is a complete package right in front of you. This camera has 20MP lens featuring ultra HD 4k video. It’s easy to use and everything (buttons) is designed with perfection. With this action camera you will be able to take professional 4k video and high quality images. It can quickly transfer images and video with its mobile app. The APEMAN action camera comes with waterproof casing that is able to resist water sweeping till 30-meter. This action camera is ideal for water sports or scuba diving or even taking selfies at depth below. The camera comes with awesome kit with multiple accessories in it. It has WIFI and is HDMI supported for projector display. The camera has two rechargeable batteries, is capable of operating multiple features while shooting. It supports Car-mode, Loop-Recording and ‘Timer-shoot option’ capture modes like Time Lapse. 170 degree wide adjustable angle. Built In WIFI & HDMI port. Video Recording up to 180 minutes. Waterproof case giving protection till 30 feet. Manually adjust the sensitivity or exposure level. Takes 3 hours to get fully charged. If you are looking for a cheap action waterproof camera with some great features, we recommend you should buy the APEMAN waterproof action camera. 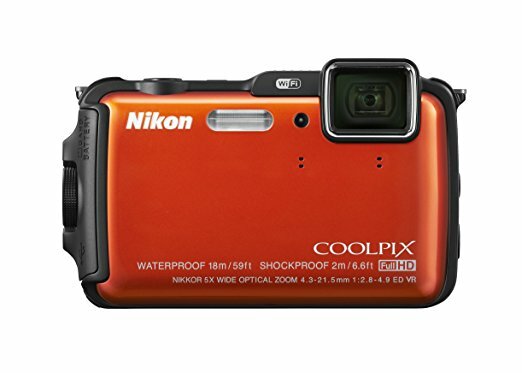 The Nikon COOLPIX AW120 is a third generation rugged waterproof digital camera. It has a 16 MP CMOS Sensor and has a 5x zoom capability. It has the great freeze-proof capacity and works great even under the freezing point. It has a lot of extras such as GPS which you can use to display the location on the images. It is a great solution for all your image capturing needs. No matter you need to take pictures of a landscape or a fish underwater, the CoolPix AW120 will prove an excellent choice. It captures FHD videos and takes high-quality HD images. It is easy to use and charge. The price of this camera on Amazon is $199. Tough body and rugged design for firm grip while holding. Large buttons for ease of pressing underwater. OLED screen, better, brighter and durable then TFT & LCD. With one single charge, you can get at least 250 shots. 250 pictures are more than enough to spend the entire day. It is waterproof and can go 18 meters underwater. You will like the autofocus. It is fast and will focus on the moving objects and still objects quickly. The phone has 329 MB internal storage. The camera also has GPS and Wi-Fi. The Wi-Fi enables you to use and take pictures from your Smartphone. 5x Optical zoom to capture objects which are far from you. The optical zoom comes in handy especially underwater. The quality of images is excellent in still water. It is not bad in moving water but is also not as good as Stillwater image. Whether you are going to professional expedition or if it is a family trip, taking photos and recording video of high quality is always a top priority. Although Go-Pro has made a successful name “Mini Action Cameras” but people still want something same like it in less budget. This Action camera comes with many useful accessories and is best to buy if you are newbie to professional filming. Either ways selection of best 4K camera is very crucial in order to save you precious memories with crisp details. It is time to update your mini camera with AKASO EK7000 Pro. The AKASO EK7000 comes with 2 inch IPS touch screen. It has an incredible camera of 16MP and is able to record video over different resolutions (4k at 25fps, 2.7k at 30fps, 1080 & 720p). The AKASO EK7000 has be built with EIS technology that is able to provide image stabilization while shooting picture or video. With this EK7000, capturing fast moving objects with its perfect detail is extremely easy now. This Action camera is a complete waterproof camera up to 131 feet. In this budget this camera comes to be most ideal to be used in all kind of water sport. You can set view angle of EK7000 action camera depending on your needs. It has angles between super wide, wide, medium and narrow. 4k, 2.7k, 1080, 720p Resolutions. Waterproof up to 131 feet. 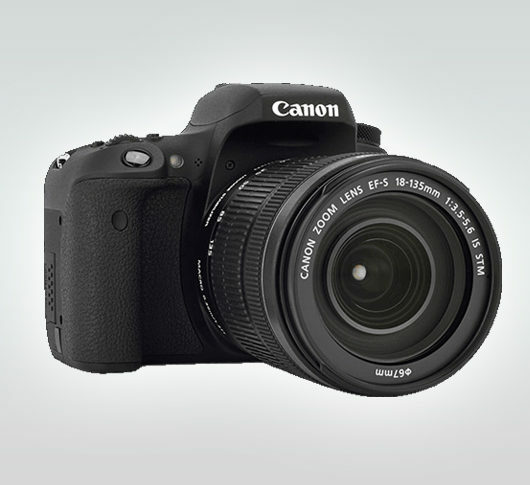 The Canon is one of the most reliable brands of digital cameras. 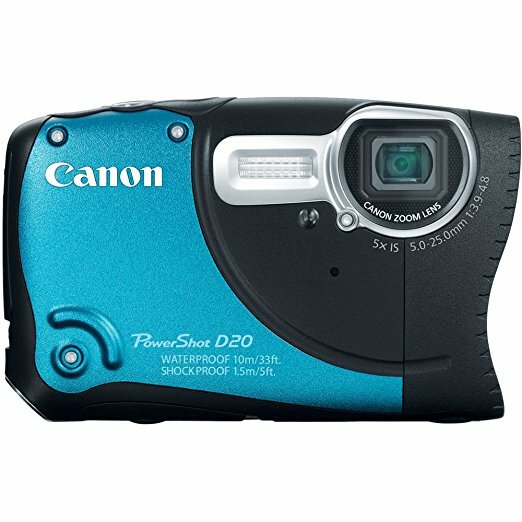 The Canon PowerShot D20 waterproof camera is a great choice. It is cheap and has some of the latest features which make it an excellent choice for beach and underwater use. 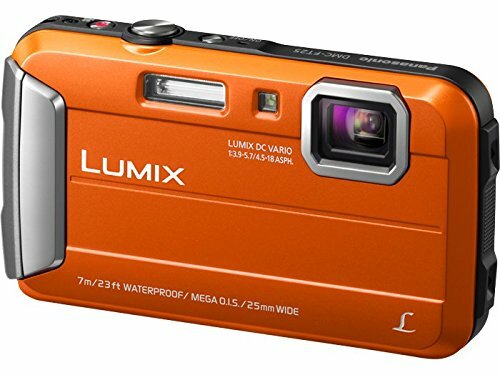 It has a great optical zoom and a good lens quality. It has a 12 MP resolution which can record HD videos at 24 fps. It is also wide angle lens for capturing wide pictures and also a good lens for low-light images. The optical zoom is good, and the price is also affordable. You will have to pay $179 on Amazon to buy this camera. It is a cheap waterproof camera. Stylish and firm design to hold underwater. The design makes it easy to handle in one hand. Bright flash which is very useful in the dark side underwater. Perfect underwater video capturing. You can always turn on the flash and record the video. Together with the 5x zoom, you can capture the objects at a distance. It has various settings which you can change from the menu buttons. 1 MP sensor with which can capture FHD video at 24fps. Shockproof, it can withstand a drop of 1.5 meters without breaking. It is waterproof up to 10 meters. Waterproof case. With the case on the camera, you can dive to 40 meters underwater. It allows you to go deeper which is excellent if you scuba dive. Long lasting Battery. It can capture 280 pictures while GPS off. With GPS on, the camera will run only for 300 minutes. Flash range of 3.5 meters. Intelligent IS pick. With this feature, the camera picks the best of six modes available while recording a video or taking a picture. Less battery life on GPS. 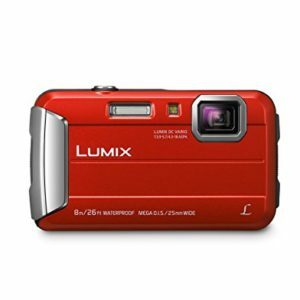 The Panasonic DMC TS25D is a great choice for outings on the beach and taking pictures when you are underwater in a swimming pool. It will keep shooting under water at least 7 meters. It is a great camera which also survives a 1.5-meter drop. It is also a freeze-proof camera. So, if you want to take it underwater which is freezing, it will keep working without any issue. It has a 4x optical zoom and a 4.4 range flash light. 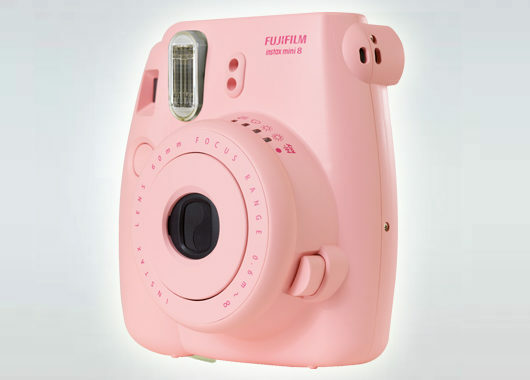 It has various effects and modes in which you can capture images and record videos. Although there are no Wi-Fi or Bluetooth or GPS on this model, it is a great camera which captures high-quality HD videos and images. The price of this digital camera on Amazon is $159. It is easy to handle and will not slip under water. The buttons placement is easy to access underwater. Intelligent 8x zoom which enables you to zoom in without any distortion and lack of quality. With the full charge battery, you can capture at least 250 shots. VanTop moment 4 has a ‘20 Mega Pixel’ Sony camera installed in it and is able to record 4K video at 24fps. This VanTop Camera is able to shoot high quality underwater pictures. Its 20MP camera is able to focus objects at distance in darker places, underwater. 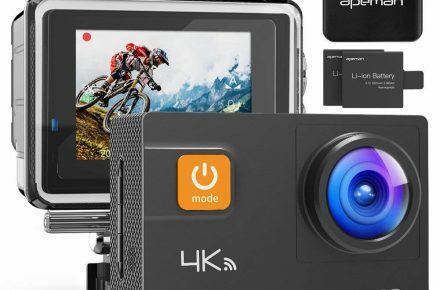 If you are newbie in video making then this camera is an ideal cam to buy due to its incredible (EIS) feature along with one touch play, pause and replay. Led by ‘Sony technology’, embedded inside this camera, the ‘VanTop Moment 4’ has much faster sensors with zero shutter lag, shadow details and more lightening effects option. For viewing pictures and adjusting settings you can toggle your touch screen. The “VanTop 4” has a smooth and friendly touch screen to navigate through settings. With this the shooting experiences goes to a pro-mode. Market has almost hundreds of camera with awesome lens and smooth UX design. But when it comes to underwater stabilization of image while exploring depthss or any water sports. I have observed this gadget to be best for use. It comes with EIS technology. This technology helps keeping image stabilization while you shoot movie or picture. So, you don’t have to worry about uneven axis, just focus on your object. View and toggle your camera’s feature live from your smartphone or you can access its 2.4GHz remote that comes along with the VanTop Moment 4. Shoot high definition video with EIS technology and finally move to your local drive via Camking app. Here are features of VANTOP moment 4 camera. Smooth touch & responsive 2.1 inch screen. Mini Camera with maximum feature under this budget. Victure Action Camera is a stylish latest tech waterproof mini camera. This action camera has 16 mega pixel lens in it along with 2 inch display screen on backside. 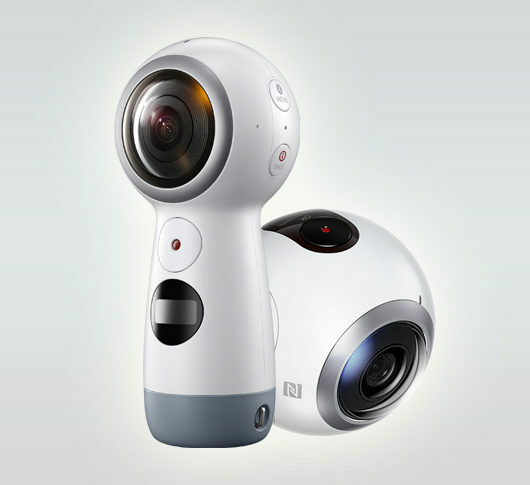 Victure Camera is perfectly able to record 4k, 2.7k, 1080p and 720p with its 16 megapixel lens. It can cover up to 170 degree wide angle. This camera is best to buy if you are passionate about scuba diving. Below are features and specs that I loved while using it. No matter if it’s a family trip or professional film making, the use of right camera to have ultra-high definition video result is basic demand of every person who loves to shoot. 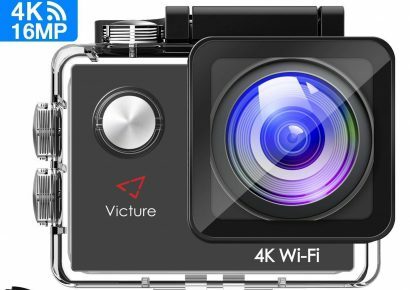 The Victure Action Camera is records your video at 4k resolution which is considered to be latest and ultra-high definition (UHD) video resolution by end of 2019. This camera allows access to its user to change video mode and can setup video quality at 1080p & 720p. The Victure Action Camera has a 170 degree angle lens that is one awesome point to be considered about this camera. With Victure Action Camera, you’ve an app named “iSmart DV”, compatible with both IOS & Android. This app let you stream real time video that is being recorded on your Victure mini camera. With help of Wifi, you have instant access to toggle exposure (-2+2), brightness or darkness from your mobile before posting it online. There are other multi functions also available like burst photo, looping video, time lapse and 180 degree rotation. For experimental purpose I’ve tested a lot of mini waterproof camera that work well underwater till 15-20 meters but this Victure Camera is one of latest tech camera that is able to record perfect video without blurriness at depth of 30 meters underwater. It comes with casing that gives it a supreme protection to record clear video at this depth. It is also able to detect a distant object without losing image quality. This is where this product seems to be ideal for scuba diving. This latest camera comes along with 2 rechargeable batteries of 1050mAh. This means your battery can last for almost 1.5 hours with all features operating. This camera comes with an awesome kit of 26 wonderful accessories including following items. Quick release base with sticky pads. Charging cable – USB to Micro USB. Spring clip back for frame holder. Mount come with quick release base. Built-in WiFi and HDMI system. 2 Extra batteries with other accessories. 3 hours needed to get the camera fully charged. Whenever you are to buy a waterproof camera, you should look for these features. One feature of the waterproof camera is that it should also be freeze proof. When you go underwater, the temperature might get low. So the camera should not stop working. Whenever you look for a camera, you should see if it has a freeze proof capacity or not. How long it can last in water. There are many cameras which only last for a half an hour in the water; there are many which last longer than one hour. So, make sure that you know the time you can spend underwater with the camera. Of course, you should get the camera which has HD picture quality. You should never go for less. The larger pixels are always good for taking pictures underwater. You should know how deep you can go with the camera. Many cameras fail if you go deeper than a few meters. So, if you are about to scuba dive, you should get a camera which has a large depth range. The video quality is also very important. Make sure that you get a camera which records at 30 or 60 fps at 1080 pixels. You may also want to get a camera that records 4K HD videos. The choice is yours. Various brands have different recording abilities. The biggest advantage of these cameras is that these are waterproof. You can take these cameras underwater and take pictures without any issue. These cameras are also shockproof. Most of the cameras which you buy will also have a strong body which will withstand a drop. The body is tough or has plastic covering which does not allow it to break the camera. Another benefit if these small cameras are that these are good for traveling. These are cheap and are easy to handle. Waterproof does not mean that you only have to use it underwater. You can capture pictures anywhere you want. Unlike those waterproof smartphones, these professional digital cameras last longer, even for several hours under water. There are many cameras which come with extras such as GPS. With these cameras, you can record a video while having the information of the location on it. These cameras are small which makes them easy to handle. Search the market, and you will find that these waterproof cameras easily come in your palm. 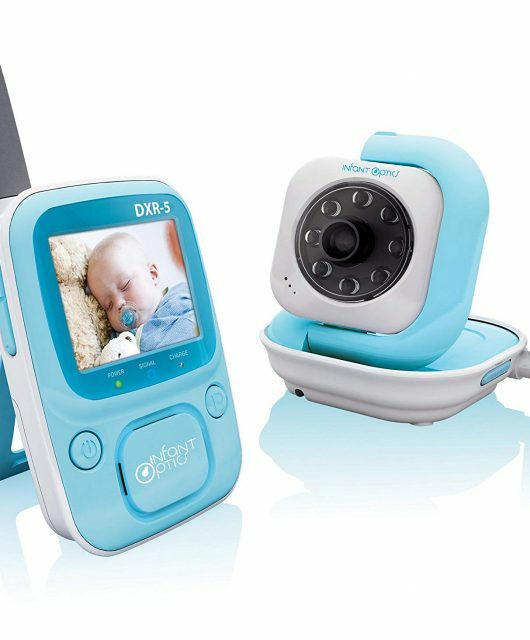 These have easy to reach buttons and features that make easy to take pictures and record videos. If you are on a low budget, but you still want to get the best digital cams for recording underwater, you should consider the above ten waterproof digital cameras. These cameras have top rated features and are also very affordable. All these cameras are under $200. These cameras will offer you top-quality photography options and underwater stills. 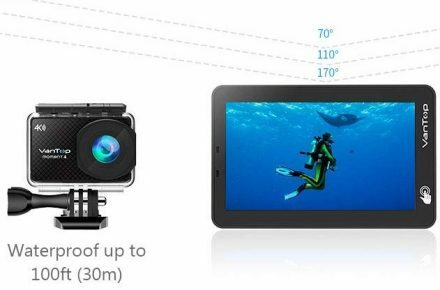 If you like to go out on the beach with the family and want to capture those moments in water or on the sand, you should consider buying one of the above best underwater video cameras.